She has held the Commonwealth record for the 800m Freestyle for 21 years, and is still holds the top 3 times Australia has ever produced. Julie is a dual Olympian competing in 1988 and 1992, a dual Commonwealth Games representative in 1986 and 1990, a dual Pan Pacific Championship representative in 1987 and 1989 and a dual World Championship participant in 1986 and 1991. 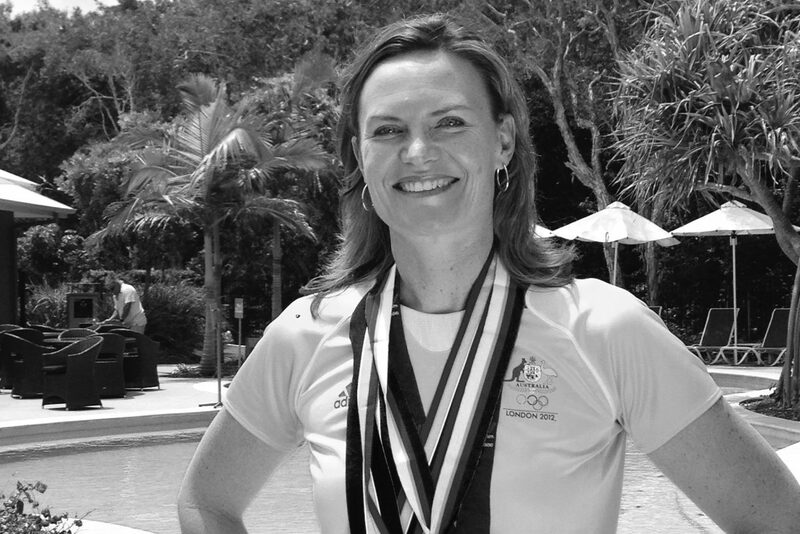 Julie represented Australia in swimming in every Australian Team from 1986 until 1992, captaining two of these teams. She was the only Australian female to win an Olympic Medal in the 1988 Seoul Olympics, winning a Bronze medal in the 800 metres freestyle. Julie was the first Australian to break 16 minutes for the 1500 metres Freestyle for women, the only swimmer to beat Janet Evans in the 800m freestyle during her Outstanding Career & In June 2006 Julie was honoured to receive a Queens Birthday Award, an OAM for her services to Swimming, The Olympic Movement and Charities. Julie is also a successful entrepreneur & empowering mentor running her own independent workshops in South East Queensland around self empowerment & goal setting plus a independent business partner promoting natural medicine within the holistic space. Julie’s ultimate passion in life is helping people take control of their own health and getting them to re-engage in their life by living life to their best potential. Flerida chats with Tenille Bentley who is an internationally award winning conscious business woman, board director, a sound scientist and global change agent. She is a transformative speaker, educator as well as an author of two thought provoking books “Digital Consciousness and Emotional literacy for kids” and the Managing Director & Founder of The Emotional Literacy & Mindfulness Academy for Kids. She founded The Emotional Literacy & Mindfulness Academy for Kids a global program that is teaching kids advanced skills in emotional intelligence from the ages of 5 – 9 years old. She began from a position of looking at the world, the damage we, as a human family are causing, the chaos, the violence, the fast paced dopamine overdosed world of digital and how we are seeing our kids (our future caretakers of this planet) being handed all of this. When you take a look at the world it can be overwhelming to try and figure out where does one start with undoing this mess we created? Her answer was with children, aligning this with her love of neuroscience and the proven outcomes of early intervention. This formed the basis of The Emotional Literacy and Mindfulness Academy for Kids. Specifically focusing on ages 5 – 9 as the key developmental phase where we can make the biggest impact and imprint them with essential life skills and behaviours that assist them later in life, which in turn, will assist our home that is crying out for our help….our planet earth. She has had the pleasure of meeting and spending time with the great minds of Oprah, Richard Branson, Deepak Chopra, Dr John Demartini, Don Miguel Ruiz, Dr Bruce Lipton and many more. Tenille consistently challenges her level of conscious and subconscious awareness, delving deep into philosophy, mythology, human behaviour, quantum physics, neuroplasticity and neuroscience in her spare time.